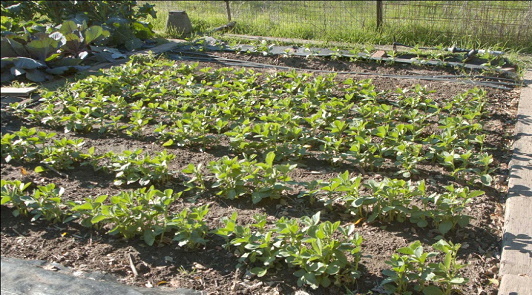 Have you ever wished you could grow vegetables without hours of weeding? If you are like most gardeners, I bet you have. 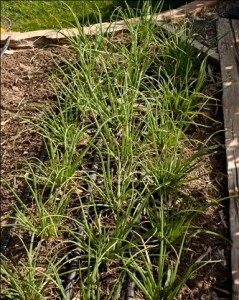 The good news is that with a bit of dedicated effort, you can reduce the weeding you do year by year until your vegetable garden is virtually weed-free. The key is to know a bit about something called the “weed seed bank” and how to manage it. Most people don’t realize that a weed can produce literally thousands – or even millions – of seeds per plant. Early in my career as a university professor, I conducted research to document the number of seeds coming from even a single weed plant. The accompanying chart shows the results were pretty stunning. And all those seeds fall to the ground and become part of a “seed bank” that fuels new weed growth. The weed seed bank is central to the “never let ’em set seed” rationale. Seeds “in the bank” can remain viable for quite a long time and sprout when conditions are right. That means it will take several years for you to reach your weed-free goal. How many years? The answer depends on the weed species growing in your garden. Seeds of most annual weedy grasses die after two or three years, but some broadleaf weed seeds can last for decades. On average, though, the bulk of your weed seed bank will be depleted in about five years if no additional seeds are added. That means diligence is the key. Never let one weed go to seed or you will be back to square one! What about seeds blown onto your garden or dropped there by birds? They shouldn’t be a big problem. The seeds for most weed species drop directly to the ground, close to the mother plant. 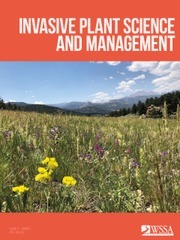 There are only a few bad actors with windborne seed, such as dandelion (Taraxacum officinale), sowthistle (Sonchus oleraceus) and groundsel (Senecio vulgaris). And it is rare for annual weed seeds to be spread by birds. It’s a bit of gardening lore that isn’t substantiated by fact. To hasten the path to a weed-free garden, I recommend a two-pronged strategy: drive down the number of viable seeds in the soil and quickly intervene when those that remain sprout. 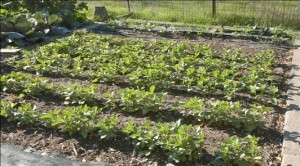 I grow between 70% and 80% of the vegetables my wife and I eat, and I now spend almost no time weeding them. I have managed to drive down the seed bank using solarization, mulching, hoeing and hand pulling. In case you haven’t heard of solarization, it involves covering the soil with a clear plastic tarp for several weeks in the summer to heat the soil and kill weed seeds. It may sound farfetched, but it works. While there is never a 100% guarantee in the natural world, if you follow a “never let ’em set seed” strategy, I can virtually guarantee that you will soon be doing a lot less weeding in future years. 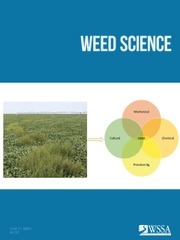 This column is provided as a courtesy by the Weed Science Society of America (WSSA). The author Robert Norris is an avid gardener and a professor emeritus in the Plant Sciences at the University of California at Davis. * Data collected by various researchers around the globe. Most of the perennial weeds that plague perennial flower gardens and lawns need more than the “never let ’em set seed” rule for effective control. Many perennial weeds grow from underground roots or tubers – making the path to weed-free perennial gardening much tougher. Not only should you prevent seed production, but you need to control the roots and tubers, too. Frequent removal of the shoots of perennial weeds will eventually starve and kill the underground tissues. You’ll need to be especially persistent and use a variety of control methods to reach your goal. 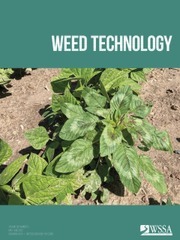 If necessary, this can also be achieved with the careful use of appropriate herbicides.